kosher cooks and Jewish cooks preparing for holidays and family gatherings. Frankel includes hearty favorites like Cholent and Cheesy Grits and sophisticated dishes like Cauliflower-Apple Soup with Duck Confit. Every recipe features kosher (Meat, Dairy, and Parve [neutral]) and seasonal symbols. 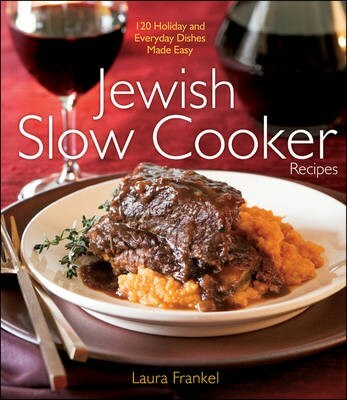 The front matter includes an introduction to kashrut regulations and using a slow cooker for Shabbat meals. The recipes focus on creative, modern kosher dishes made with high-quality ingredients. Sabbath and holiday meal planning guidance throughout.